Once you have filled out our Virtual Electronic SPine Assistant (VESPA) our diagnostic tool or simply contacted us through our website, a Patient Concierge will contact you at the most desired and convenient time for you. The concierge will ask important questions to get to know you and your story of how the pain is affecting your life. The concierge will tell you more about our story at Jasper Spine Institute and how we can offer you solutions that will get you back to your normal self, active and living life the way you want, PAIN FREE. At the Jasper Spine Institute (JSI), we cater to our patients every step of the way much like a concierge at a luxury hotel. Our highly trained Patient Concierge’ are personal, compassionate and understanding of your needs. They have years of experience in the spine industry and are dedicated to helping you find solutions to your pain and improve your life and return you to work or an active lifestyle as soon as possible. From the initial consultation with Dr. Jasper to the final postoperative appointment, we believe in keeping patients’ time away from home to a minimal while providing them with safe and effective relief of their neck or back pain. We accommodate patients by carefully planning out all appointments while they’re at our facility to ensure a timely comfortable, rewarding experience while they visit us. The spine procedure experience doesn’t have to be filled with worry, anxiety and fears. At Jasper Spine Institute, we pride ourselves in educating our patients and their companions and addressing their questions and concerns so that the experience is relaxing, comfortable and successful. In order for Dr. Jasper to be able to understand more about you we will need to have you upload via the internet or send us a current (Within 3 months) MRI or CT scan of your back or neck. Once we receive you MRI or CT scan, Dr. Jasper will review the MRI FREE of charge and then he will provide a personal solution that best suits your condition. Your concierge will then contact you to discuss the suggested options whether surgical or nonsurgical. We often get patients contacting us from all over the United States and the world that seek out our expertise in providing the least invasive solutions to painful conditions people suffer from everyday. Surprisingly, many patients seek out our Institute because they are in such pain and refuse to wait several weeks to see their local surgeons or are seeking a less invasive procedure offered. Dr. Jasper understands his patients want to be seen as soon as possible; therefore he reserves time each evening to see patients via live Internet. The E-Consult is a unique and convenient way for patients to see a board certified physician for consultation, second opinions from the ease of your own home or workplace. During your E-Consult you have the opportunity to ask pertinent questions to get to know Dr. Jasper and understand his recommended plan to help you relieve your pain, restore your mobility and regain your quality of life. Once you agree with Dr. Jasper’s medical plan and ready to schedule your procedure we will need to verify your insurance and payment verification. Dealing with your insurance companies can be very difficult and frustrating for patients. For others not fully covered by insurance, there will be some worries and anxiety about whether or not the procedure we recommend is covered or affordable. At JSI we are dedicated to offering our patients the highest level of service. We understand that our service continues far beyond your experience in our facility, and we want to make sure that you are taken care of in every area. You will be assigned a patient financial services advocate to facilitate the claims process or answer any questions you may have. 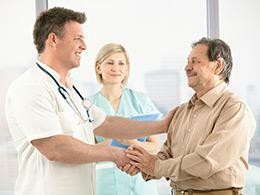 At Jasper Spine Institute we take most insurance plans that have out of network benefits. We are committed to working with insurance providers to minimize your out of pocket expenses. We will provide you with an upfront cost that you will be responsible for should you decide to choose a procedure. As a courtesy to our patients, we will file claims to all insurance companies. Once you agree with Dr. Jasper’s medical plan and a procedure date is scheduled we can assist planning the your trip and manage all scheduling, transportation arrangements, including hotel accommodations. Before patients depart they will receive a personalized schedule and all the relevant information needed in order to prepare for their spine surgery. Their personal concierge will ensure all medical records are in our system, advise the patient on the travel documentation needed and provide any other information they may require, thus ensuring a worry free trip.